As part of our January Conversation Issue, The JRB presents City Editor Niq Mhlongo‘s keynote speech from the 2017 BRICS Literature Forum. The event took place in China, at the Zhuhai campus of Beijing Normal University, on 15 December 2017. Thirteen years ago in 2004, my first novel Dog Eat Dog was published by Kwela Books. I was still an intern journalist with Fair Lady magazine in Cape Town then. This is what happened on the day of the launch. The event was scheduled to start at 6.30 for 7 pm at the National Library, along Queen Victoria Street in Cape Town. One of South Africa’s most famous authors, André Brink, had agreed to do an introduction about my novel. I was regarded as the new young black writer who had come to the surface. At that stage, Phaswane Mpe and K Sello Duiker were the only really well-known young black South African writers. But here was my dilemma. On the day of my book launch, Fair Lady had organised a lavish golf day at a Paarl golf course, about sixty kilometres from Cape Town. The special guest was Natalie du Toit, the swimming champion. Natalie was the hottest property in 2004. She had just won gold medals for swimming at the Commonwealth Games, the All Africa Games, and the Paralympics. Everyone around the world wanted to take a picture with her. She had also just been voted among the ‘Top 100 Great South Africans’ by the SABC, our national broadcaster. As an intern, an opportunity like that is something you don’t want to miss. I was hoping to be the one to write about Natalie. She had also been selected to be on the cover of our magazine by our team. Imagine what such a byline would do to my budding career. My internship was about to come to an end, in a month’s time. Other magazine publications such as True Love and Drum would be after me, I thought. Now you understand why I so badly wanted to attend both the golf event and my book launch. I sat down and weighed my options. If told Troye or Ann (my sub-editor and editor) about my book launch, I thought they might advise me not to go to the golf, which would ruin my chances of writing a great story about Natalie. So I decided not to tell them. Anyway, the book launch started only at 6.30 pm. The golf event would be long finished by then, I told myself. So, by 7 am the Fair Lady team was at the golf event in Paarl. The theme was ‘making it against all odds’. This was inspired by that fact that in 2001, Natalie had had a horrible motorbike accident which had led to the amputation of both her legs. Against all this, she went on to win those medals in the competitions I have mentioned above. At 5 pm, my publisher started calling me. I was still in Paarl. She had every right to panic because they had secured André Brink to grace my launch. I told them that I was on my way. It was a lie. The golf event was still on, but about to finish. I didn’t have a choice. I had used Fair Lady transport to the venue. I had to wait until the event was officially finished, as we only had one driver. So I waited. I needed that story to lift my career. My sub-editor had offered me a chance to write it. She had told me that if she liked my approach to the story, she would publish it, or we could at least be co-writers. We only left Paarl at about 6.20 pm, and the traffic was heavy along the way. My publisher kept calling, and offered to come and pick me up wherever I was. I told her that I estimated I would be at the launch venue around 7 pm. But when 7 pm struck we were still negotiating the traffic along Bellville, about twenty kilometres from Cape Town. My event had already started. André Brink and my publisher were doing it on my behalf. I finally arrived at the venue at about 8.30 pm, and my event was officially over. To my surprise, only a few people had left the venue. The majority were still there, eagerly waiting to see this new writer that missed his own debut book launch. Another surprising thing for me was that they were all white people. There were about twenty of them. I went to André Brink to tell him I was Niq Mhlongo and to apologise for not making it on time to my launch. Jokingly, he replied: ‘Are you sure you’re Niq?’ My publisher and André started to tell me how my own book launch went. From the pictures that my publisher showed me I could spot a few black faces who had come to the launch. But I could understand why they did not stay around. There are a couple of reasons for that. One possibility is that I came late, of course. Another is that the venue was awkward for them. Cape Town was, and still is, known for its racism. It is designed in such a way that you feel not welcomed as a black person. I studied and lived in Cape Town for a while, so I felt these racial divisions all the time. Black people live on the periphery of the city and are only welcome into it as labourers. Even the public transport system timetable is designed in a way that favours apartheid segregation. But here is a beautiful thing. I was given a copy of my book that everyone in the audience had signed, including André Brink, my publisher, and all the catering people. That copy became a treasure. When my internship ended, I had to leave Cape Town for my home in Johannesburg. If you’re wondering, my Natalie story was never published. I was very angry with him. I had just got an invitation to do a reading at a French school in the affluent suburb of Morningside. I was planning to read from that, my only copy, and I was to be paid three hundred rand. So, I asked my cousin to fetch my copy from his friend. He came back with sad news. His friend had lent another friend of his my copy. After being sent from pillar to post I finally decided to buy a new copy. You might be wondering why I tell you this story. Some of you might have already figured out that I’m using this episode as an illustration of the new developments and energies in South African writing and reading culture in the post-apartheid era. The situation is no longer like it was when I started in 2004, with very few black readers and authors. There is a wave of new fiction and non-fiction coming from South Africa at the moment. The new, young generation of writers is experimenting with new genres and exploring female sexuality, drug use or abuse, political corruption, racism, homelessness, poverty, xenophobia and homophobia. They are on a mission to reshape our history, which was distorted and defiled by the wrath of colonialism. This new wave is confronting the colonial system that is still entrenched. They write to heal the wounds, and to provoke changes within the South African literary landscape that is still dominated by white people. For example, when I was published in 2004, the majority, if not all, publishing houses in South Africa were white-owned. My own publisher, Kwela, is white with a black name. The difficulty in 2004 was that the few black writers, like me, were expected to write stories that would appeal to the white masses and not challenge the status quo. We also carried the burden of being the so-called ‘spokespeople’ of the black communities. 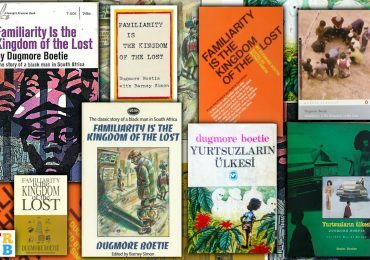 From roughly 2006 onwards, we have witnessed new black-owned publishing houses and a number of new authors who have come out to share this burden with us. To mention but a few, BlackBird Books and Geko Publishing have published authors such as Panashe Chigumadzi, Nakhane Touré, and Sabata-mpho Mokae. These authors are now household names and have won major literary prizes. 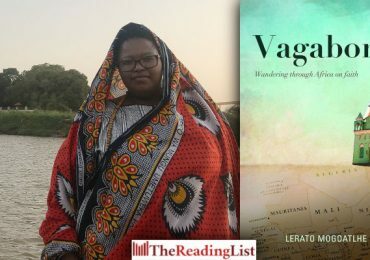 Other authors who have come out strongly in this new wave of South African writing include Nthikeng Mohlele (Pleasure), Mohale Mashigo (The Yearning) and Yewande Omotoso (The Woman Next Door), who have recently all been longlisted for the International Dublin Literary Award. In poetry we can mention poets like Koleka Putuma, whose debut collection Collective Amnesia is garnering national and international praise. 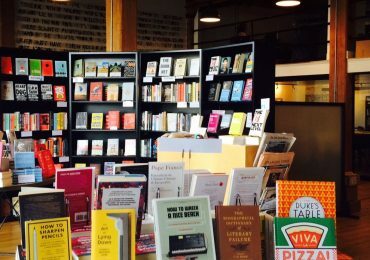 Many of these authors are building an audience at home, where there is a growing appetite for fiction that addresses contemporary issues. As indicated earlier, a thematically and stylistically diverse fiction is emerging in South Africa. The newly formed Abantu Book Festival attracted thousands of book readers in its first year, 2016. The majority, if not all, of these people were black. This festival was founded by author Thando Mgqolozana to cater for the marginalised black writers and readers, away from the mainstream white literary festivals. It was the first, and so far only, major literary festival to be held in Soweto. A few years ago this was something unthinkable, but today everyone is looking forward to Abantu. I remember something bizarre and pleasant happened after my session at the festival last year. Let me share this story with you. A young man, who had attended my session with Fred Khumalo, came up to me and said he wanted to speak to me about forming a book club. 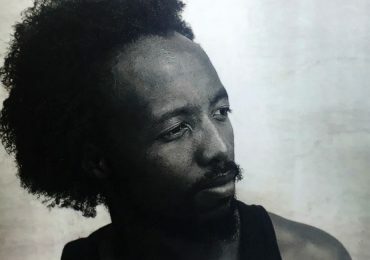 He was, and still is, a student from the University of Pretoria, but is originally from the coastal town of eSikhawini in Richards Bay, roughly six hundred kilometers from Johannesburg. He told me he had been following my work since he was in high school, and had read each of my four books. He had been praying to meet me one day, he said, and the Abantu Book Festival had given him that opportunity. Then, during our conversation, something happened. The student gave me a gift, which was an old dog-eared copy of one of my books. Guess what: it was my personal signed copy of Dog Eat Dog, the book that had gone missing some twelve years ago. Umlazi is another coastal township, also about six hundred kilometers away from Joburg. I didn’t know what to say, as I was overwhelmed by emotion. So my personal treasured copy had been travelling. I could see that it had been read carefully by many different people, because many passages in it were underlined. As South African authors, we have a good reason to rejoice over the formation of this relevant BRICS Literature Forum. For me, this could open the doors to new, humane ideas and transform our respective countries into another new world. Therefore, I see this forum as a means of contesting that aspect of my country’s reality which constitutes the greatest threat to our actual existence as authors. The gain from this is both yours and mine.